Melanie Brock – Jarman International K.K. 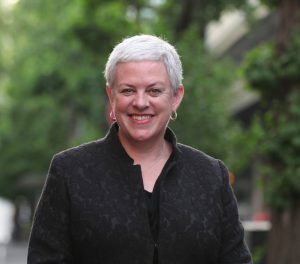 BIO: Melanie Brock is one of Japan’s most respected APAC specialists. She uniquely combines practical commercial business leadership and language skills to consistently deliver on business, regulatory and partnership outcomes for Japanese and foreign corporations both on global and domestic levels. Melanie has an excellent network in Japan’s corporate, political and government sectors – her network of senior Japanese politicians and executives is unique. Melanie is Chair Emeritus of the Australian and New Zealand Chamber of Commerce in Japan having completed over six years as Chair. She is a member of the ‘Australia Japan Business Co-operation Committee’ (AJBCC). Other positions include five years on the Australia Japan Foundation. It is an exciting time in Japan for foreign companies in Japan – Japan is the fastest growing economy in the G7, has a booming tourism industry and will host sporting events in the next few years including the Rugby World Cup and the Tokyo Olympics and Paralympics. I look forward to contributing in my role as president of the Japan Chapter, Rugby Australia Foundation. Melanie was born in Albany, Western Australia is a graduate of the University of Western Australia and has a Masters Degree from the University of Queensland. Melanie is a mum and a grandmother and has lived and worked in Japan for 26 years.